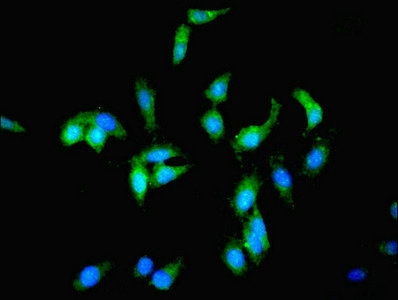 Small volumes of anti-PCK1 antibody vial(s) may occasionally become entrapped in the seal of the product vial during shipment and storage. If necessary, briefly centrifuge the vial on a tabletop centrifuge to dislodge any liquid in the container`s cap. Certain products may require to ship with dry ice and additional dry ice fee may apply. Catalyzes the conversion of oxaloacetate (OAA) to phosphoenolpyruvate (PEP), the rate-limiting step in the metabolic pathway that produces glucose from lactate and other precursors derived from the citric acid cycle. NCBI/Uniprot data below describe general gene information for PCK1. It may not necessarily be applicable to this product. PCK1: Catalyzes the conversion of oxaloacetate (OAA) to phosphoenolpyruvate (PEP), the rate-limiting step in the metabolic pathway that produces glucose from lactate and other precursors derived from the citric acid cycle. Defects in PCK1 are the cause of cytosolic phosphoenolpyruvate carboxykinase deficiency (C-PEPCKD). A metabolic disorder resulting from impaired gluconeogenesis. It is a rare disease with less than 10 cases reported in the literature. Clinical characteristics include hypotonia, hepatomegaly, failure to thrive, lactic acidosis and hypoglycemia. 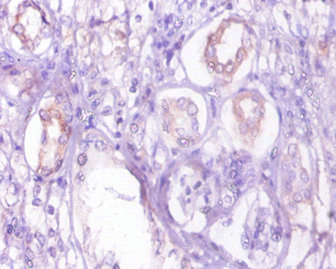 Autoposy reveals fatty infiltration of both the liver and kidneys. The disorder is transmitted as an autosomal recessive trait. Belongs to the phosphoenolpyruvate carboxykinase [GTP] family. 1. A mutation of PCK1 associated with Smith-Magenis Syndrome, cytosolic PEPCK deficiency and NMDA receptor glutamate insensitivity.